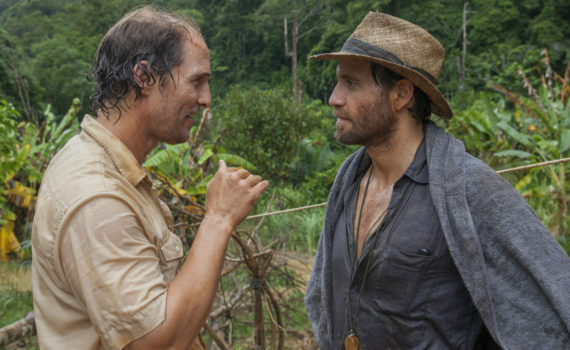 The combination of Stephen Gaghan (Traffic, Havoc, Syriana) and Matthew McConaughey (Mud, Dallas Buyers Club, Interstellar) was the secret recipe we needed, we just didn’t know it. Gaghan, more a writer than a director, works in the dark. That is to say, his stories are very heavy, sometimes highlight the worst in us, and so can be a bit daunting even when they’re strong. McConaughey, who can be a complete goof ball, has also been on an incredible roll lately. Put the two talents together and you get a smart storyteller and an actor who can lighten the mood just enough to make those stories palatable. Gold is exactly that; a depressing story of greed and the life of a career salesman, but one made watchable and even enjoyable by the vibrant talent who inhabits the star role. Based on true events, Gold is the tale of the search for wealth, wherever it might take you. Kenny Wells is a modern day prospector, always has been, ever since his grandfather mined the side of a Nevada mountain and his father started a company to find buried treasure all over the world. In the 80s, the money was up for grabs, especially on the stock market, you just had to get a little lucky, and that’s where Mike Acosta comes in. Kenny raised the funds, Mike owned the nose, and the two men created a partnership that quickly turned into a friendship. They went into jungles on foot in order to find gold, and when they stumbled upon it, magic began to happen. Suddenly they were rich men before the precious metal was even dug up, and curious corporations were circling on all sides, anxious to get their own piece of what was expected to be a very substantial pie. A bit Wolf of Wall Street, a touch of The Beach, this film is party true and always fascinating. The get-rich-quick era itself is fun to watch, where junk bonds soar and new money rolls in, with no end in sight. Wells & Acosta just wanted their share, and were willing to do anything to get it. Watching this loony bald man traipse through forests so that he could buy a Cadillac was both awesome and sad, showing the lengths that men will go so that others will call them a success. The story is always captivating, keeps you on your toes, and goes in many different directions, demanding your attention for two solid hours. And the music grabs you as well, an ever-present push nudging you down the right path as the actors do their work, and do it well. 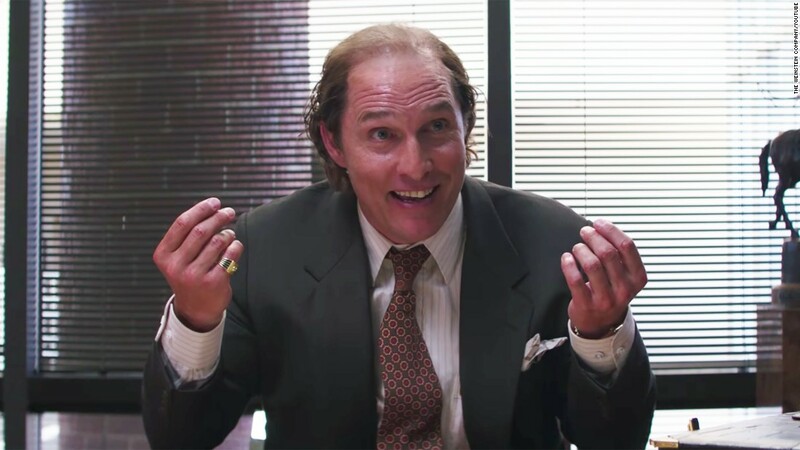 McConaughey was spot on, as usual, and never seemed uncomfortable or unbelievable as a schlubby salesman who wore tighty whiteys, chain smoked, had a drinking problem, but somehow was still smooth with the ladies. He really did bring a certain amount of fun to the oiliness of his character, allowing us to love him when his world crumbled around him, a result that was usually his own fault. Ramirez was strong as well, as the confident geologist, the poet who could smell the mother lode. And the direction was great, especially from a writer who didn’t write this one, coming across as clever but not too heavy-handed, weaving in some typical genre stuff but never seeming washed up. 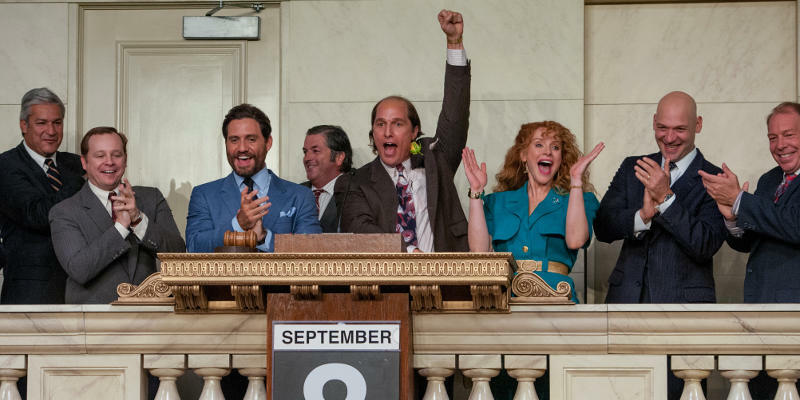 Gold surprised me with its quality and its likeability, and although it may not ultimately stand out as one of 2016’s definite best, it has enough going for it to earn a high recommendation.